The bare root Summer Sun is a bit of a tough cherry tree. It will tolerate poor conditions and still provide you with a reasonably crop of cherries. Summer Sun cherry trees are of a more compact bushy shape so suitable for smaller gardens and container growing. Fertility : Semi self-fertile (Group C). 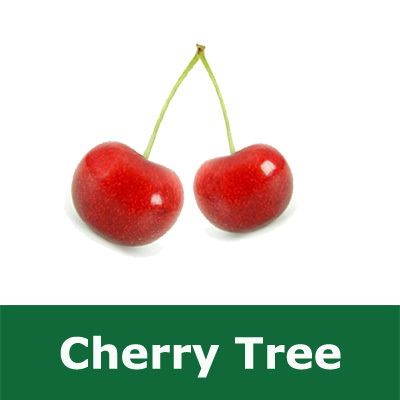 Requires another cherry tree from group B,C or D to produce a "full harvest" of cherry fruits. If you do not have another cherry tree close by that is either self-fertile or from groups B,C or D then the Summer Sun cherry tree will still produce cherry fruits but not as much. Gisela 5	: Final height of 2.5 metres. Ideal for small gardens and easier for bird protection. Standard	: More lower branches have been pruned off to give a much clearer trunk, more of a lollipop shape. Bare Root	: No soil and no pot. Usually cheaper and will be 2-3 years old unless otherwise stated e.g. a maiden.